New with Max 6.1.7, the maxurl object gives you the ability to easily connect Max with the web using HTTP messages. If you've been thinking about creating a crowd-sourced multimedia patch or a data-driven interactive work, now is a good time to give it a shot. 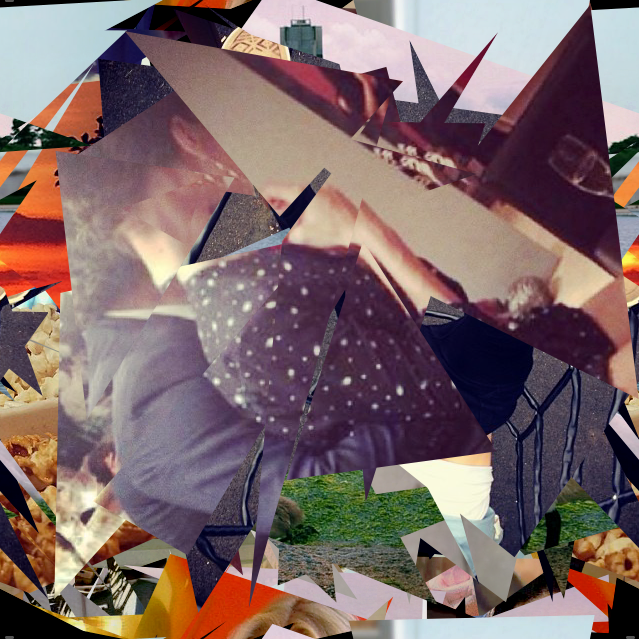 To demonstrate one possible direction, in this tutorial we'll look at creating a Jitter collage with Instagram photos. Download the Max Project and place it in your Max/Projects folder to get started.Important note: You must have Max 6.1.7 (or later) installed. Since we're using the Instagram API to run this, you will need to visit the Instagram developer site to get your own API client ID. If you already have an Instagram account, it's really simple. Keep the client ID handy because you'll need it later. Now that you've got the basics in place to start pulling in and using photos, try exploring the API and doing other types of image search. There are also lots of different web APIs that you can explore to connect your Max patch. This looks impressive and I really want to check it out. When I open the project it says I'm missing "jit. *.mxo" and thus I don't see anything in the patch. Is that related to something on my end or something relating to this project? Really into this. Thanks for sharing. Is there any possible way to tell the script to skip over duplicates? For example, if I command it to find and populate images from a certain hashtag, and then later AGAIN tell it to find and populate images from the same hashtag, it brings in the same images again as well as new ones. @estevancarlos make sure you place the attachment files in the projects folder within your MAX folder. I had the same problem and that seemed to fix it. @apcuddling - You could store the id's of the images that were downloaded (maybe in a Dict? ), and if the API request returned those images again, you could simply throw them out. You would need some logic to request more images (I think the API provides for a startAt value, or something similar), which would be called if the results returned did not provide enough "new" images. @nealriley Right. Yeah I noticed that they could be manually removed. 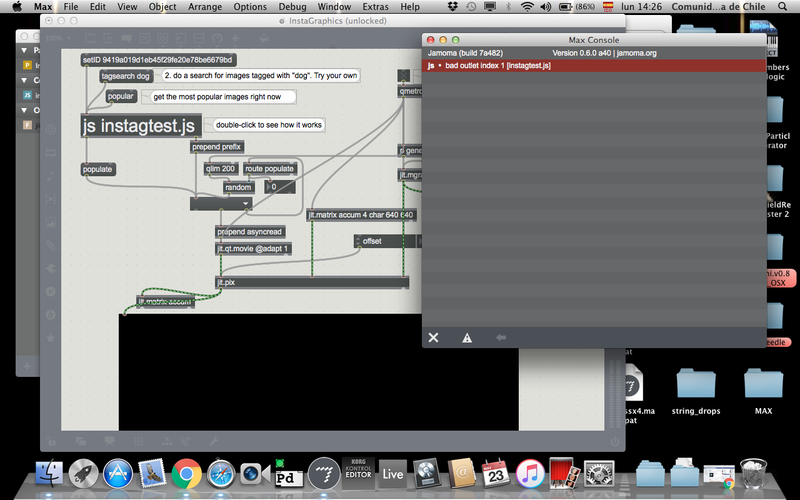 But the idea I had was to set up a metro to bang the messages requesting the images. So then it would just keep fetching new images. But if I could find a way to automate the dumping of the duplicates, then I could just let it keep running and the newer images would be added in with out duplicating the old ones. Thanks for the response. 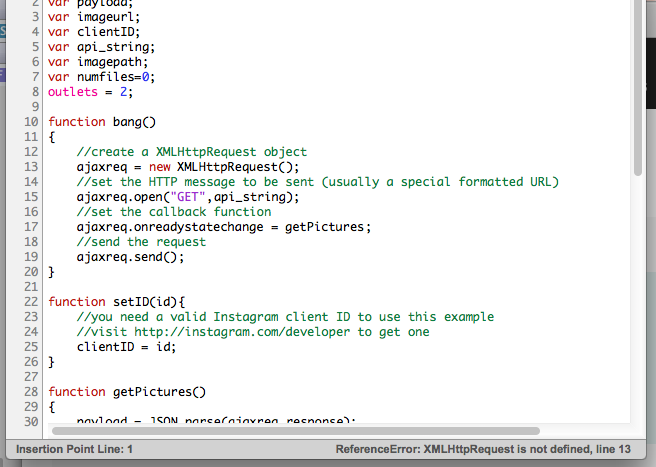 Unfortunately I think the Instagram API lacks this capability. The "automating" of this process could come from a JS function you automatically pass the results from the API call to. ie each bang would fetch new images and clean out the dupes. Hope you get it up and running! @nealriley Yeah I didn't even entertain the idea that it could be done through the API. I'll toy around with some things and see what happens. I'll post back with any progress. Thanks! I'm having the same problem as EstevanCarlos-- tried updating and still got the same result. Anyone know what's up? The implicit loading of jit. *.mxo is expected, as it should already be installed on your machine. Thanks! I'm afraid it's really just that simple. This error dialogue pops up saying the jit. 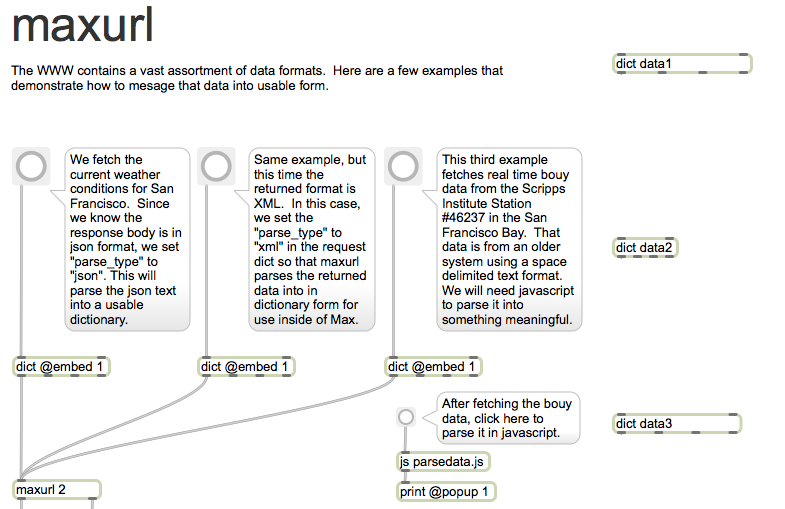 *.mxo is "implicit." I've never heard of an object called jit. *.mxo, and my computer certainly doesn't have one. Is there supposed to be one installed? The error message was popping up before and after I registered with Instagram developer. I'd attach some screenshots, I'm just not sure what of, outside of that error box. @KirkPearson - actually, that isn't really an error and shouldn't slow you down. Any errors in the Max window? @kirkpearson Not sure if this helps, But I've been messing around with the patch for the last couple of days and have noticed 2 things. 1. Make sure when you unarchived the files that they were placed in the projects folder. 2. 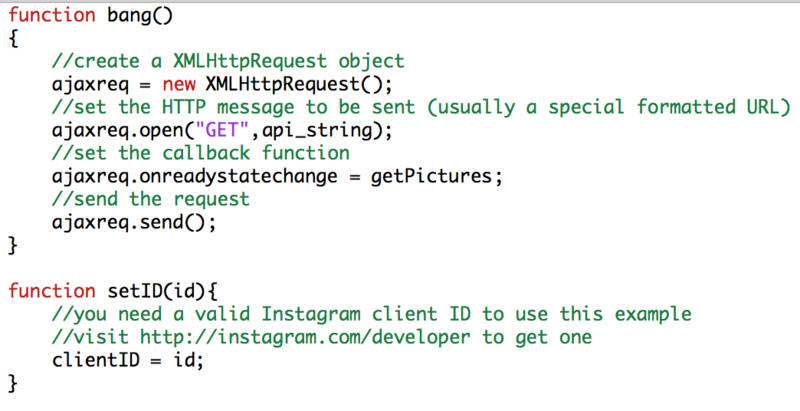 Make sure that the Client ID for the Instagram API is getting inputted correctly. Things seem to be working fine for me. I would like to note though, that the "jit. *.mxo" is still highlighted red in the project window. But everything is working the way what I want it to. -Open up the inspector for the umenu that lists the names of the included images that were grabbed from Instagram and stored in the media folder. -Click on the ALL tab. -Under the FILES section, click the EDIT button next to FILE TYPES and type in ".jpg"
What happens is when you fetch for more instagram images of the same hashtag or category, they are all stored in the same folder together (the media folder). Mac OS automatically adds a number to the end of a filename if a file with same name already exists in that location. It will add a (1) or a (2) and so on. However, it adds it AFTER the file extension (.jpg). So, in turn, umenu won't include those images to be populated and used in the patch because it doesn't register them as being a .jpg file. The duplicates will still be stored in the media folder, but umenu will just look over them when they are being populated into the patch. Again, like I said, not sure if this will work for everybody as it could depend on how your computer or OS handles documents of the same name. For some reason, none of the images are even downloading. There seems to be a variable problem on line 15 in the code. When tagsearch is banged, the .js window says "XMLHttpRequest is not defined, line 15." 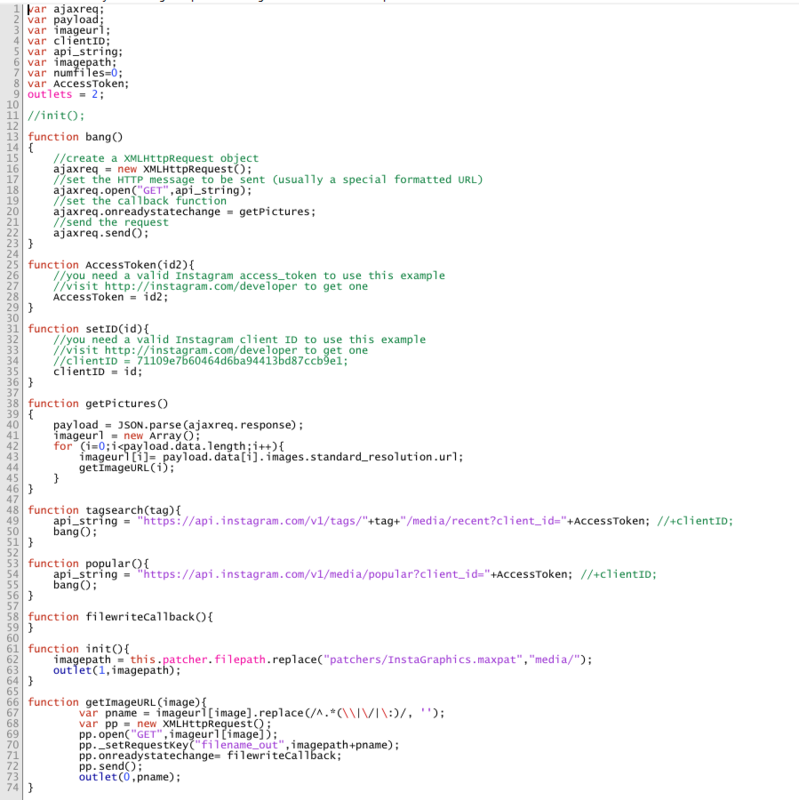 Despite the problem being so simple, I actually can't find any deficiency in the code. Sorry if this sounds really stupid, but if I don't have a web site, can I still get a client ID? @hzd I don't think you have to have a website. I have a website that I used when entering in the info, but I haven't used it in regards to the Instagram API. I just entered it so that I could continue and get the Client ID. I would imagine you could type in any random website url. But who knows. Good luck. has anybody spent much time with this yet? i would like to be able to use this to generate images with a specific hashtag and only those images. it's hard to completely understand what is actually happening onscreen. i'm sending it a "tagsearch" message and it seems to bring up all of the previous tagsearches i have made and maybe even the popular page as well? hard to tell. i want to use this for a performance tomorrow in which i/the audience will be taking pictures/uploading to instagram during the performance. anyone present can tag their photo with the special hashtag for the evening. i'll do a "tagsearch" for that hashtag in max and project the result on a large screen, so that everyone (with a smart phone) can contribute to the visual spectacle. does that make sense? yes, i just want to be able to make this thing generate images of only one hashtag. i'm asking for help if that wasn't clear. @dvdsmoke what you're saying makes perfect sense. When you tell the patch to grab photos from instagram (be it "popular" or a specified hashtag), it grabs them and then saves them to a file on your hard drive. When you tell the patch to "populate" the found pictures, it just loads what is in that folder. That's why you keep seeing previous pictures showing up. Assuming you're using a mac, this folder it located in "/Applications/Max 6.1/projects/media". Inside the media folder you will find a bunch of pictures. If you delete all of those, you can start fresh. Knowing this also allows you to place pictures into the folder as well. In web site, as I don't have a web site of my own, I could for instance use the web site of the recordcompany that I use? and "OAuth redirect_uri:"…. what is that? on my machine i get the same errors as Sukandar Kartadinata and HHELT it seems, that there must be something wrong with the patch. @kirkpearson Please check that you have the latest version of Max installed from the DOWNLOAD page of this site. This feature was introduced in Max 6.1.7, so any previous versions won't have the ability to run this code. I look forward to seeing what you all create with this new feature. I also encourage everyone to visit the Wiki page linked in the article for future updates and other web examples, or add your own. so the patch will still (mostly) work even with these errors but it will no longer "refresh" the feed. i think these errors might be coming up because i'm "refreshing" the feed too frequently, but i can't be sure. it fixes itself when i restart max. and the internet connection appears to be working fine. So, now some questions. It only finds images from open profiles. Is it somehow possible, to log into my instagram, so I can use images shared with me? hey i figured out how to allow this patch to access your personal feed. it's a little complicated so follow closely. first: - go to http://instagram.com/developer/api-console/ - when you open this page a pop up menu should appear. - under the first part labeled USERS click "GET" next to where it says users/self/feed - before you can send this request, you need an authentication - see the "authentication" drop down menu? if you are logged in to Instagram, then one of the options when you click on it should be "instagram - authenticated user." select that. if you are not logged in, then at some point it should ask you to log in. - click the orange button that says "send" - if you have done everything correctly up to this point, then the RESPONSE section on the lower right side should come back with a message in green letters that says "OK" - keep this page open in your internet browser. we are going to come back to it. THIS SHOULD BE ALL YOU NEED! 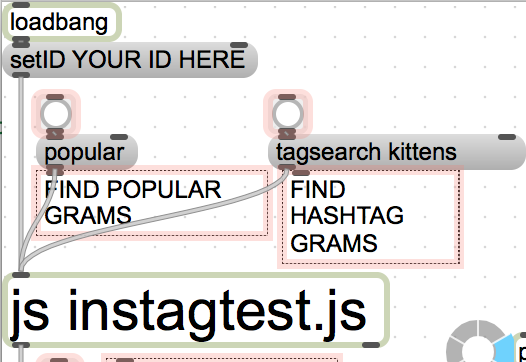 now you can send the message "feed" to the "js instaG.js" object and it should work. From what I can tell the patch AS IS will display video files but will only display a still image as the output. I would like to mention that I did NOT have the patch load instagram videos through API. Instead I loaded some .mov files into the media folder where the found instagram images are dropped in. Then I told the umenu to only recognize .mov files. The patch worked as normal but only displayed the .mov files as a still image as if it were an image file. I imagine something else will need to be changed in the patch to tell the video files to automatically play. I'll toy around with it some more and let you know if I come across a solution. Im really struggling to get this patch to work mainly due to my lack of knowledge of Java Script and API. Please find what I have entered in Java Script below. Please could someone point me in the right direction to link this patch to my instagram developer account? Hello everybody. Cheers @dvdsmoke I now have set this up, so it only gets files from my instagram user account. Next thing :) How do I narrow it down to a tag in my user? So that it only shows pictures from my account with a sertain tag. I have my patch set up where the [js instagtest.js] is reading outside messages being sent that designate specific script details. Thank you for the help all appears to be working now! i'd like to pass this payload to a dict object in the patch. i'd like to write this json to a file on disk. Did you already try to subscribe to tags' update notifications using Max ? Hi, How can i grab more than 20 images? And how can I grab them for a specific time? Has anyone adjusted the js file to use pagination with next_url? The instagram API has some info about pagination and if there are more than 20 images the pagination will give the next_url. I need to download all the images for a certain hashtag from one day in March. I had this working in Max6 but it won't work in 7. I did a new download and to no avail. 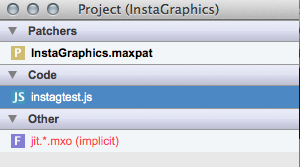 I get this message in the max console: "maxurl . Could not resolve proxy: ers; nodename nor server name provided, or not known"
I have set the ID from the instagram api. Works again, after upgrading to Yosemite. Then next time when you using getPictures, it will return you the next 20 pictures from next pagination, and update the api_string to next next one. Anyone know, if it is possible, te extract the caption from a given instagram? Thanks Ryan, that worked. However if you only register a new app instagram, it goes in Sandbox Mode and public content is not available. You have to properly register your app with them and make a submission to go live. Other wise you can still use it but don't get access to public_content. You also need to uncheck the Disable implicit OAuth in the security tab of your instagram client app if you're app client is live but still not working. So I changed the getImagURL function by adding a second replace to pname... you can surely use a nicer regex that does this without repetition, but I was lazy. If you uncheck the "Notify me..." box under the comment section, it should update your preferences. i got the access token from Instagram, and changed the js with the Ryan's indication. 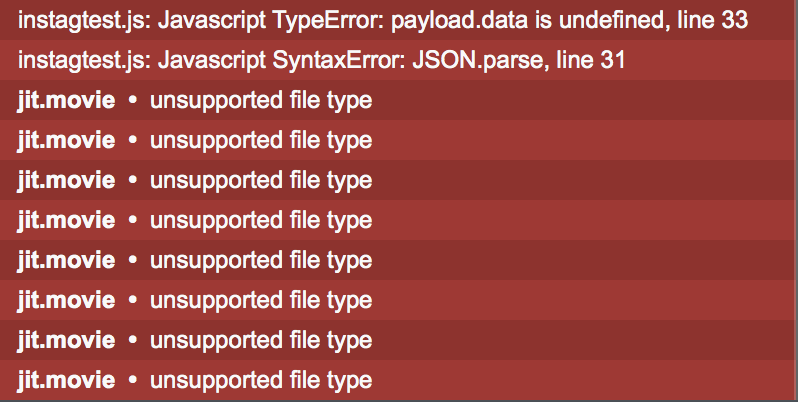 and naturally when try to use tag search i got the payload error. In my case it dosnt work too, as you can see in the image i have the message js: bad outlet index 1 [instagtest.js] I put my ID setID 9419a019d1eb45f29fe20e78be6679bd but nothing happen... Any idea to solve this?... Best! Does anyone resolve this please??.. Best! Has anyone experienced maxurl's connection timeouts sort of blocking any future connection? After the above mentioned fixes, this patch works great for the first two hours or so, then I get a connection timeout and the only way to make it work again is to quit Max. Thoughts? Hello guys, any progress with it? Does anybody know how to going into insta stories from max with jitter? Thank you very much.